This is definitely one of my favorites of your wishlist posts! So great. 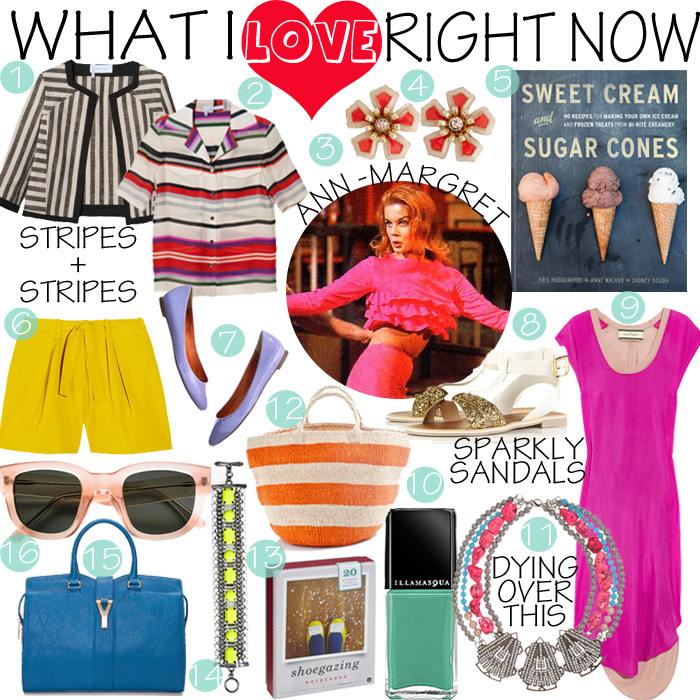 Those Topshop sandals are so perfect, and the Fenton necklace is to die for! So those sparkly sandals just moved to the very top of my wishlist! Amazing find. Ann Margaret in Bye Bye Birdie!!! That is my favorite musical of all time. I got to play Kim in high school, and I thought I'd died and gone to heaven. PS – That Derek Lam jacket is fabulous!! love that pink dress + the juicy neon bracelet! In love with that YSL bag!